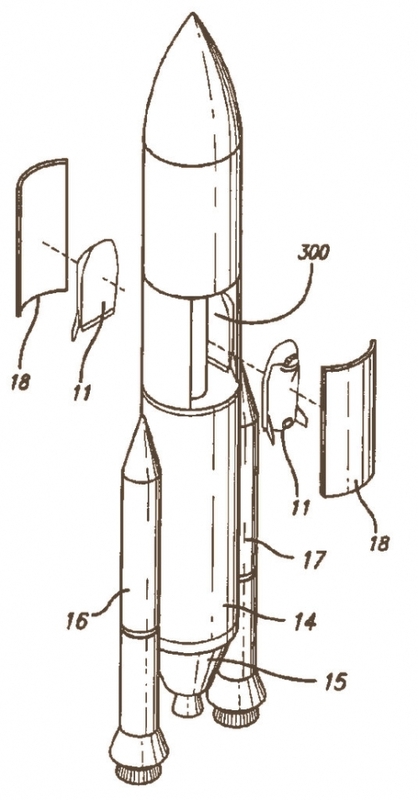 Walt Disney's Rocket to the Moon patent is now on Vintagraph.com. A system for launching a space for humans into orbit comprises a launch vehicles. There are multiple separate crew modules mounted in relationship to the launch vehicle. The multiple crew modules are nested around the circumference of the launch vehicle. Alternatively or additionally, there are multiple separate crew modules located in a pod relatively directed along the length of the launch vehicle. A single rocket is for launching the multiple space crew modules. The separate crew module return from orbit to Earth separately. This novelty design for a radio is made to look like a broadcast facility. 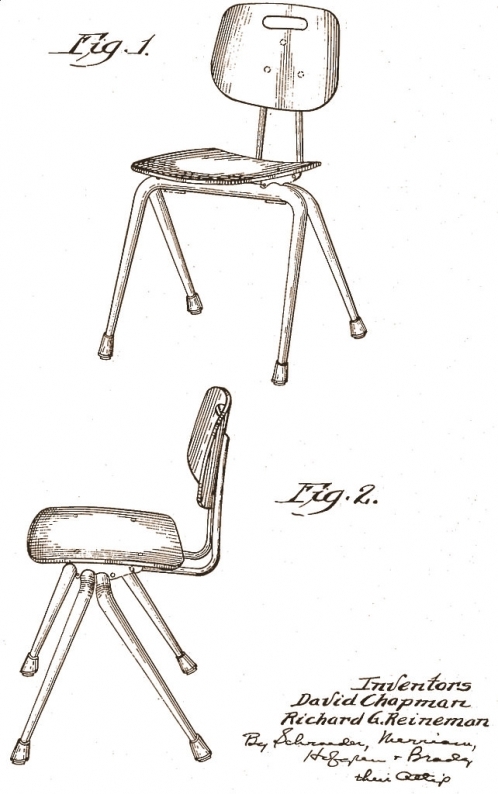 A patent was awarded to Glenn W. Wilder in 1989. This design for a restaurant was awarded to James D. Comstock of Houston, Texas, in 1958. 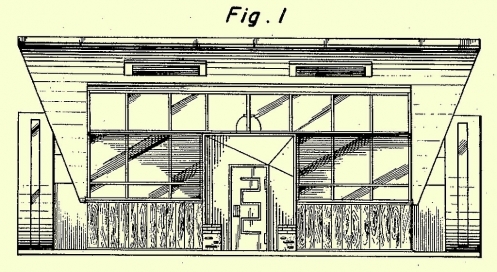 An ornamental design patent for this Googie-style restaurant sign was awarded to William B. Smith in 1958. This ornamental design for a stacking chair was issued to David Chapman and Richard G. Reineman in 1953. 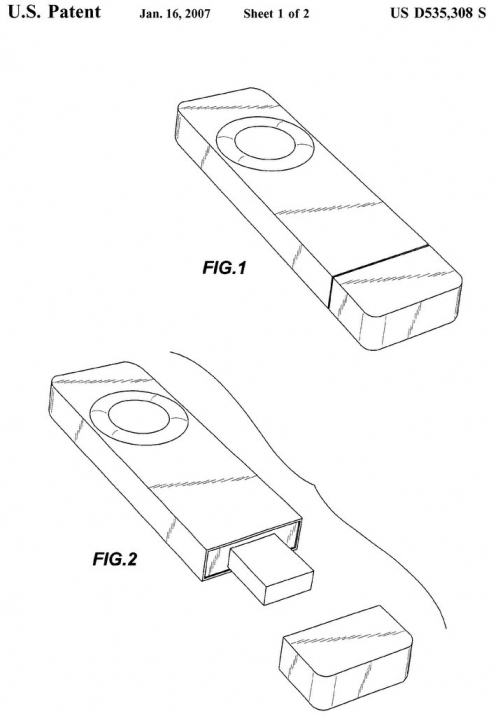 This ornamental design for the original Apple iPod Shuffle was awarded to a team at Apple Computer in January, 2007. 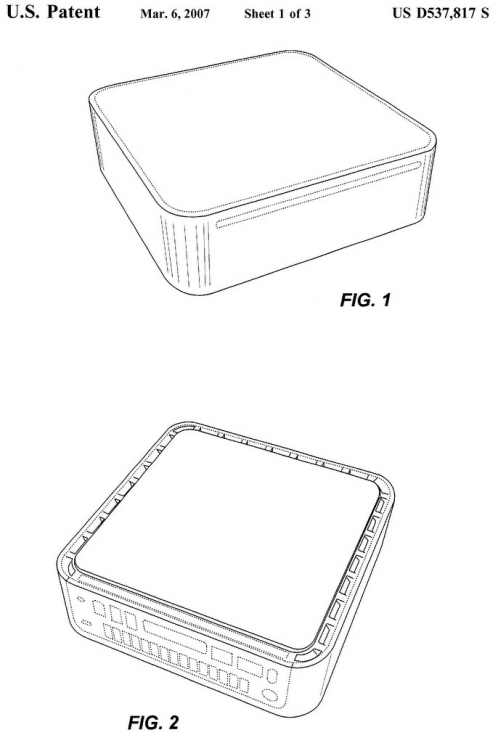 "We claim the ornamental design for a computing device, substantially as shown and described." This patent for the Mac Mini computer was awarded to a team at Apple Computers in March, 2007. 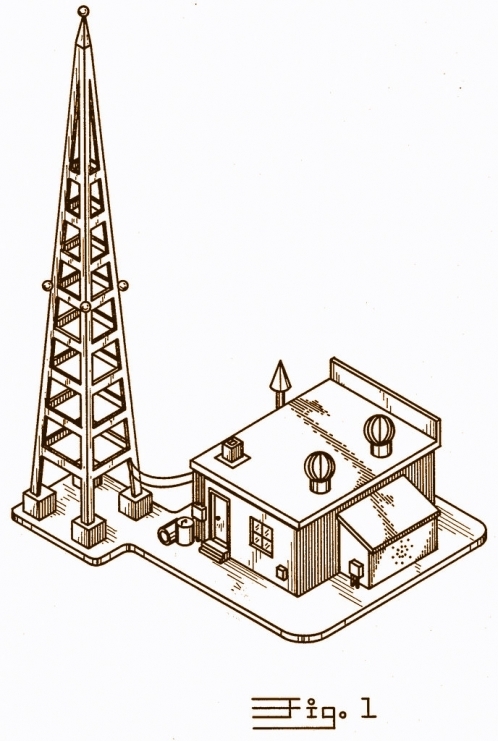 An earlier variation on the design was awarded a patent in 2006. 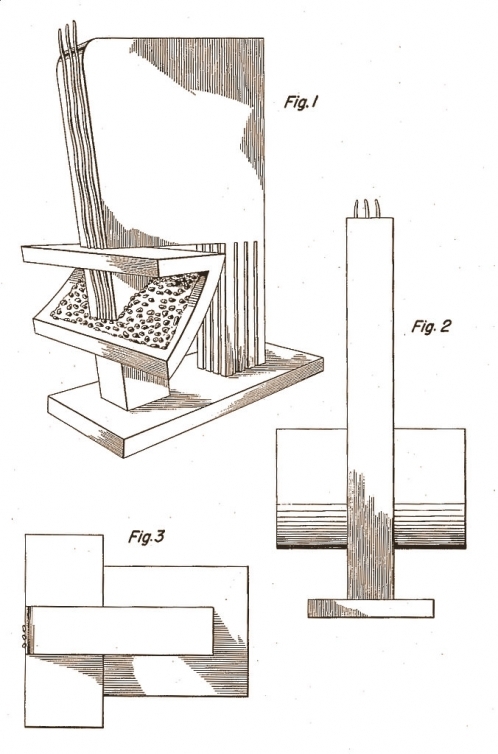 "This invention has to do with pyrotechnical devices, and is concerned primarily with a fireworks article which when ignited projects a jet of flame which preferably has sparks intermingled therewith." 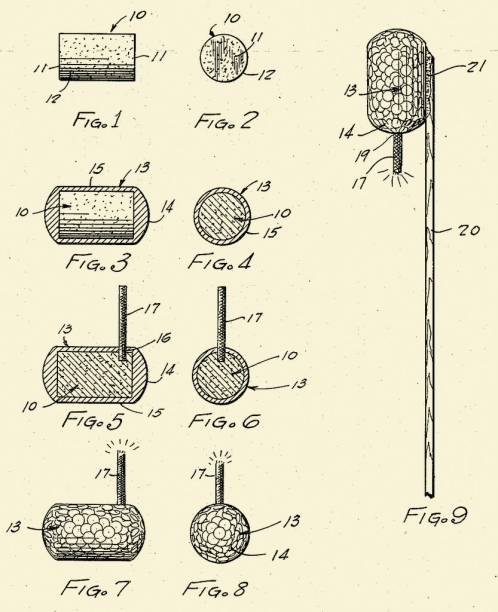 This patent for fireworks was awarded to Alberto Cimorosi of Elkton, Maryland, in 1938. 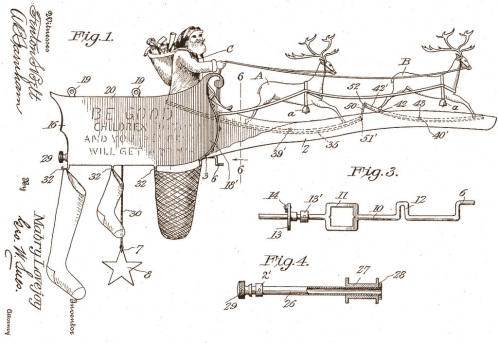 The patent for this toy Santa Claus was awarded to Mabry Lovejoy and Joshua D. Kuykendall in 1918. 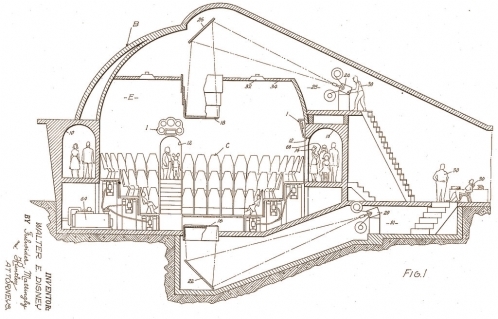 The primary object of my invention is to provide an attractive Christmas toy arranged to be secured to a vertical support such as a wall, representing Santa Claus driving a team of deer hitched to a sleigh from the bottom of which stockings or other receptacles are suspended. The sleigh body serves to receive toys, candies and other articles and the receptacles secured below the same may also receive toys, nuts, confectionery, and the like.